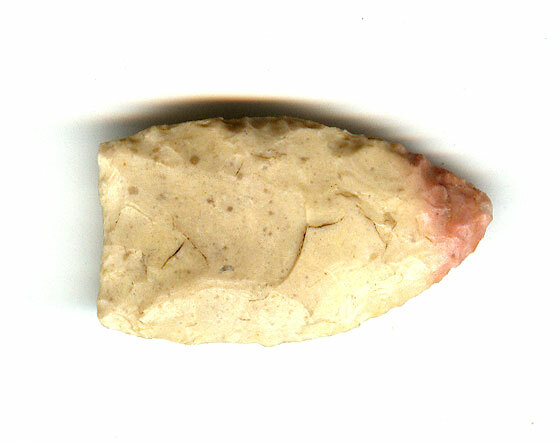 A Small Size, Thin, Colorful, Visibly Aged And Anciently Use Sharpened, Well Made, Barnes Fluted Point That Exhibits Stone Sheen Aging Coloration And Overall Surface Patination, Correct Type Fluting/Basal Thinning, Polished Blade Hinge Use Wear, Correct Blade Sharpening Use Reduction, Aged Surface Deposits, Correct Early Form And Style Flaking, Correct Material And Manufacture For The Area Found. Early Collectors Referred To The Type As A Sedgewick. Barnes Points Are Small, Shallow Fluted, Wider At Mid-Section, Having Folsom Characteristics, Slightly Concave Base With Rounded Inner Corners. Includes Dwain Rogers ( Paleo Point ) And Ken Partain ( Barnes ) Certificates Of Authenticity.